You found a great product idea and got an online store set up for your business. In this day and age, we use search engine for pretty much everything we need. Like, how to get traffic to my online store. So if you're like other online store owners, you probably did a quick search on Google and typed in the name of your online store. Nothing. Your store didn't show up. Not even when typing in the exact url. Don't panic just yet. First, let's try to understand how search engines work. When you search for something on Google for example, it doesn't search the whole entire internet. What it does is it searches the database for the most relevant content and display the results based on their complex ranking algorithm. You may have heard of the term 'index' before. If your site is indexed, it means that it is inside their database. EasyStore has the right tools for you to get your online store indexed so it will show up in search results. Here is a checklist that you can follow. Having these tools set up on your store, allows you to communicate with the search engines and also able you to go in depth on the analytics. Meta title and description is very important when it comes to search engine optimization. It is what shows up in search results and it is the thing that stands between them and going through your online store. Write good page titles - Keep it under 70 characters and include the keywords that are relevant to what you are selling. Make sure you don't over do it and list out all of your keywords. Remember you are trying to impress the person that did the search, not the system. Write relevant and actionable descriptions - Meta descriptions doesn't have direct effect when it comes to ranking. But it plays an important role to get people to click on your site. Use actionable words such as "buy, get, shop, and etc to get them to take action. You should still include keywords to keep it relevant. Include value added can also increase the click through. Example "most trusted, free shipping, #1 store"
In your EasyStore admin panel, every page includes a section where you can optimize your page for better SEO. Communicate with Google by using the "fetch as Google" function - This will let Google know that your online store exist so it will send out "crawlers". Log into Google Webmaster Tools to do this. Ensure proper use of header tags (H1, H2, H3, H4) - Make sure there is only one H1 tags (Heading 1). It is often used as the main headline for a page and usually contain the main keywords. Set alternate text for images - Other than web searches, people also search by image. You can also include keywords in images. Write unique product descriptions - All content, including product descriptions, should be unique and written by you. For example, don't use product descriptions from manufacturers. Search engines do not like duplicated content. There are other things that needs to be done outside of your EasyStore settings. Create social media profiles for your online store - Even if you don't plan on using all of the social networking sites out there, you should still create a profile for your store (ex: FB page, Instagram, Youtube, Google +) Search engines will also show social media profiles in search results. Complete your profile bio - Every social media site include a place for you to tell about your business. Fill in the bio and make sure to include the link to your online store. Reach out to bloggers for backlinks - Link building is the process of getting other websites to link back to yours. This plays a role in the rank of your store in search result page. Look for those blogs that provide product reviews and reach out to them to review your products and your online store. Ensure that your online store is mobile friendly - Search engines reward those sites that are mobile friendly. If you are using EasyStore, your online store already mobile friendly so you don't have to worry about this. Get some initial traffic - Search engines won't know how relevant or how authoritative your site is without some initial data on traffic. You can get some beginning traffic by sharing with your friends or the link building strategy mentioned earlier. You can even use paid advertising to get more initial traffic as you start building your SEO. We at EasyStore understand that Search Engine Optimization is a vital part of your marketing strategy. That is why we built EasyStore on SEO best practices and provide online sellers with the necessary tools. Follow this checklist after you have set up your online store. However, there are many off-page factors involved in the ranking factor that we are not able to control such as other businesses that are competing for the same keywords. SEO will take time and a lot of marketing efforts by the seller. 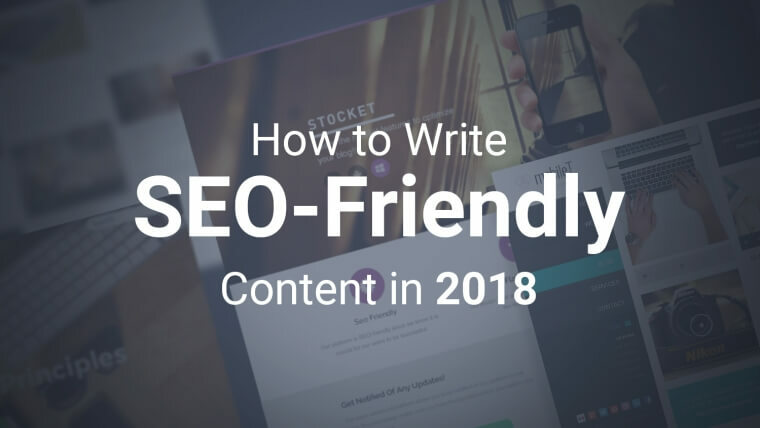 *Please note that it is not guaranteed your site will show up on the first page of the search result page due to uncontrollable factor of the complex algorithm by the search engines.